Next week, I’ll be off to Marina Bay Sands Resort & Casino in Singapore to attend the exclusive, invitation-only ONE Asia MMA Summit 2013 hosted by none other than the ONE Fighting Championship (One FC). I was absolutely surprised and excited to find out that Robert and Phoebe Lee, the brother and sister of the legendary Bruce Lee, are amongst the ones who’ll be delivering keynote addresses at the 3-day event. 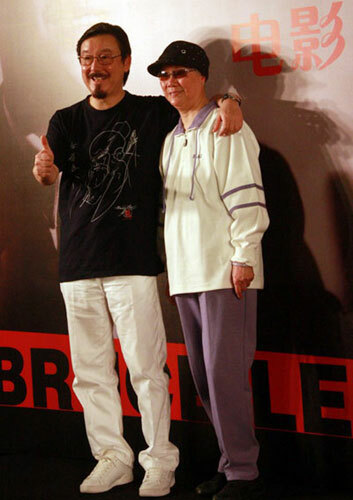 Both of them will be giving a speech on the life and legacy of the greatest martial artist to have ever lived. Bruce Lee is definitely one of my most inspirational idols. I’ve seen documentaries and films about him but this… this is really something else. I certainly can’t wait for this. The Summit is a high-profile, premier platform for leaders of Asian MMA (mixed martial arts) to network and discuss the explosive growth of the sport. Over 500 delegates are expected to be in attendance at this game-changing event. For my live updates at the Summit, stay tuned to my Twitter @toninkush from 2 to 4 May 2013. And of course after the event, there’ll also be a long recap or two here with photos. I am certainly looking forward to seeing the 2 siblings and hearing their keynote address! they were suppose to go at it during Wrestemania but got bumped to the UFC.